My Yamaha SRX600 was outfitted with an auto-canceling blinker unit. This doohickey shuts off the blinkers after either 10s or 150m, whichever comes last. So at low speeds, it's time based while at speed it's the distance that does it. All in all quite annoying: it's customary here to turn on the indicators 300m before highway exits and I'm used to turning them off manually anyway. The shop manual only briefly mentions the auto-canceler, acknowledging its presence but not saying where it's actually located or how to disable it. Trying to track it down, and having removed the tank as I expected it to be near the blinker relay, I came across the remnants of an alarm system the previous owner installed (and sort-of removed) at some point; getting rid of that significantly cleaned up the wiring. 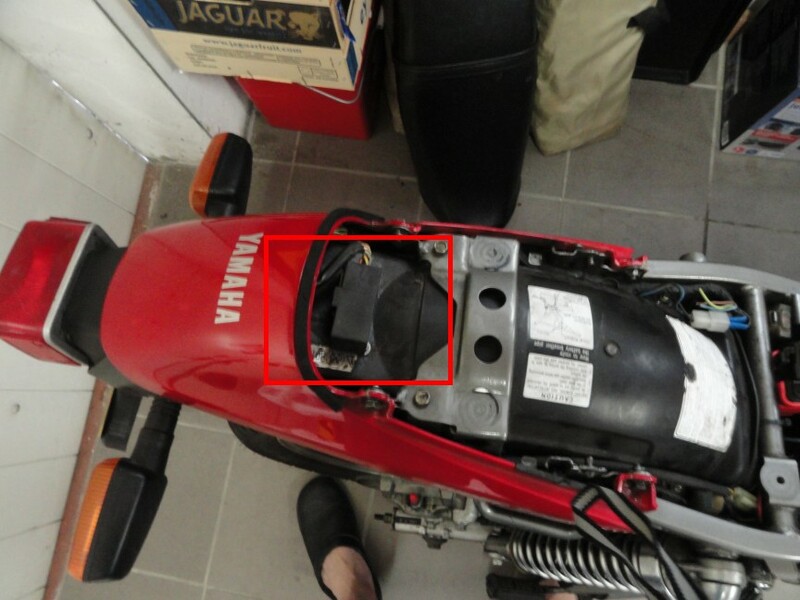 Anyway, after wasting much time I discovered it's located in plain sight on the rear fender, in front of the rectifier. Disabling it is just a matter of unplugging it: I was expecting to have to bridge some of its plug's contacts for the blinkers to work, but none of that's necessary. This nondescript box is the culprit. Some other observations. 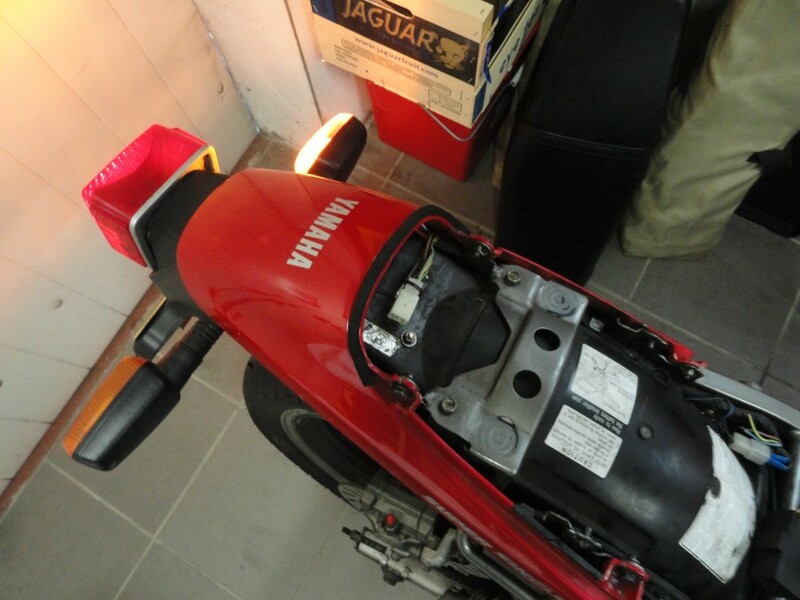 My bike's got after-market front blinkers with 23W front blinkers instead of the standard 27W bulbs. This means that when the engine's not running (i.e. ~12.8V battery voltage) the bulbs don't draw enough current to trip the blinker relay: they stay on solid. Similarly, when one of the bulbs is removed or burnt out, the other blinker on that side will stay on solid.